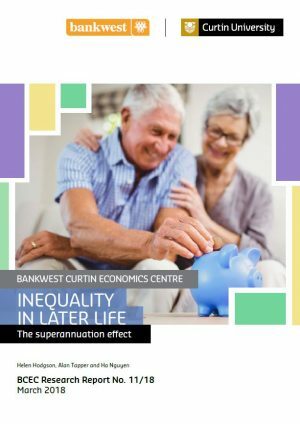 This BCEC Feature report examines the extent of economic inequality among Australians over 55 years of age, and seeks to identify the effect, if any, that the current superannuation system has on economic inequality in later life. The report examines inequality by reference to wealth, which includes the balance of a superannuation accumulation account, and by reference to income, which includes private pension income. The study has shown that the distribution of disposable income is volatile and there is no clear trend relative to the general population. 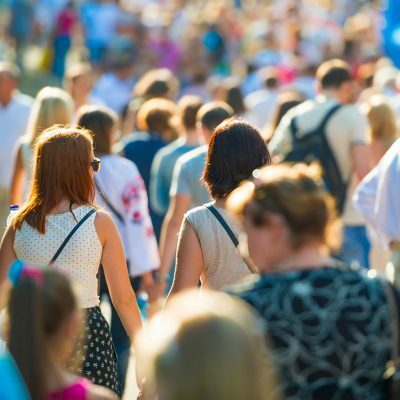 However, in the older age groups inequality decreases and wealth is distributed more equally among older Australians than the population as a whole. Superannuation holdings, as an asset class, are distributed more unequally than total wealth among older age groups, however the inequality of superannuation holdings is reducing over time, a finding that is consistent with the maturing of the superannuation system. The home is a significant repository of wealth for many older Australians. The value of the home has consistently grown as a proportion of wealth as well as in net value over the period between 2002 and 2014. Older Australians are more likely to own their home, either with or without a mortgage. This is reflected in the inequality measures for housing which show that wealth in the home is more equally distributed than total wealth. The findings around the importance of the home as a stabiliser against inequality, and the changes in home ownership and superannuation holdings noted in the younger cohorts examined highlight the relationship between housing and superannuation as assets to support older Australians.